Buying your very first home is a huge milestone. It’s an emotional, life-altering event in anyone’s life and the Ponugotis family are no different. 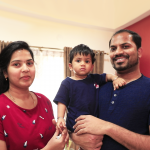 When the family of three (Mr Gautam, Mrs Prasanna Ponugoti and their little daughter, Anvi), just bought their apartment in Bengaluru, they were overwhelmed at the prospect of interior designing. 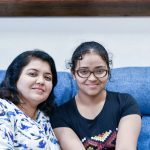 They had a few specifications in mind but they were confused about how to bring all their ideas together in a cohesive manner. They did a little research and found that availing Homelane’s services would be the perfect solution. And they were right! Design is never a one-way process. Especially the process of designing a house. 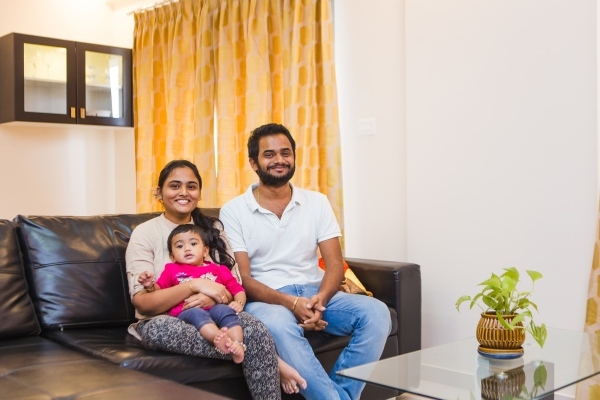 At Homelane, the family was paired with one of our design experts who spent the time to get to know the family’s lifestyle and requirements. Their request was simple; minimal design and an imperative to get it done within a month. 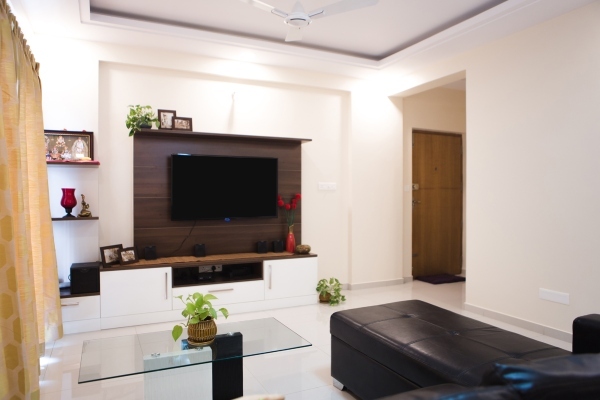 Whether you’re into the nitty-gritty of decor or not, there’s usually that one space you will be specific about. For Prassana it was the kitchen. 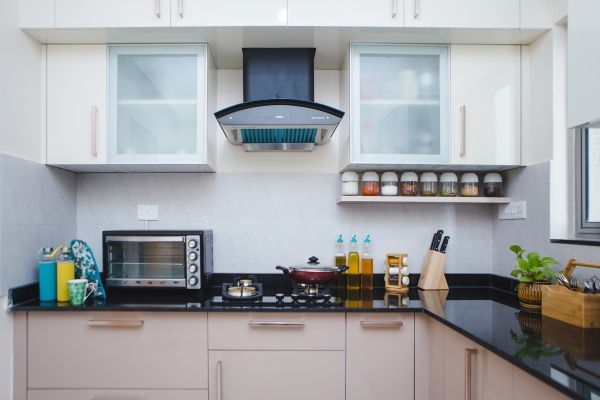 “I had a look in mind for how I wanted my kitchen to be and this is exactly it.” Now she is very happy with the functionality and the look created with our designer’s suggestions and expertise. Unlike the kitchen, the family did not have a specific look for the bedrooms in mind. 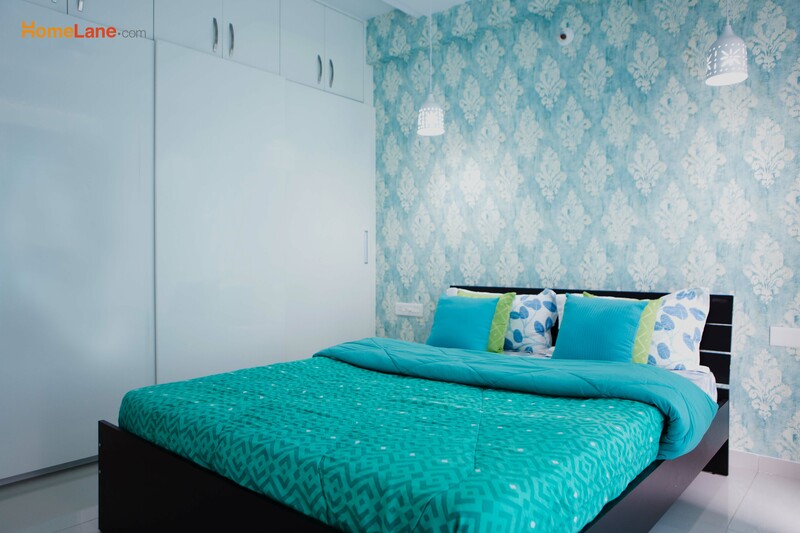 However, they are ecstatic with the turquoise blue-themed bedroom that offers a calm haven for the family. 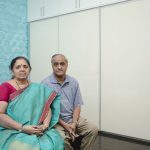 As ardent fans of Liverpool, the couple particularly enjoys spending time in the living room watching football while their daughter plays in her favourite corner, designed just for her. 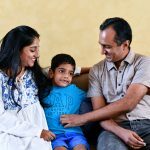 According to the family, the best part of their experience with Homelane was the collaborative effort to create a home that meets all their requirements, in the time frame promised. With subtle colours, sufficient storage and kid friendly corners, we have managed to give their place it’s new identity, a place they now proudly call “home”.